ERIKA Padila bared that her relationship with former PBA player and now Alaska Aces assistant coach Jeffrey Cariaso is going strong, to the point that the couple are already talking about getting married. However, the actress and TV host clarified that they have no plans of having the wedding this year and are in no hurry to settle down just yet. “Napag-usapan na po namin, pero hindi naman po urgent na pangyayari na kailangan nang mangyari yun within the year,” said Padilla, as reported by PEP.ph’s Rose Garcia on Tuesday. Padilla said she met Cariaso when she started out as a PBA courtside reporter in 2011, and they have been together for one year and seven months now. When asked what attracted her to the former basketball star, Padilla noted that it’s the compatibility of their maturity and personality despite a 14-year age gap. “Mas masarap po yung part na mas matanda sya sa akin. He’s older of 14 years, 44 na sya, I’m turning 30,” she said. “Parang mas magka-wavelength kami. Siya po ang pangalawang dyowa ko. Ang unang dyowa ko, ka-age ko lang,” added Padilla, who was previously linked to StarStruck alumnus Anton dela Paz. 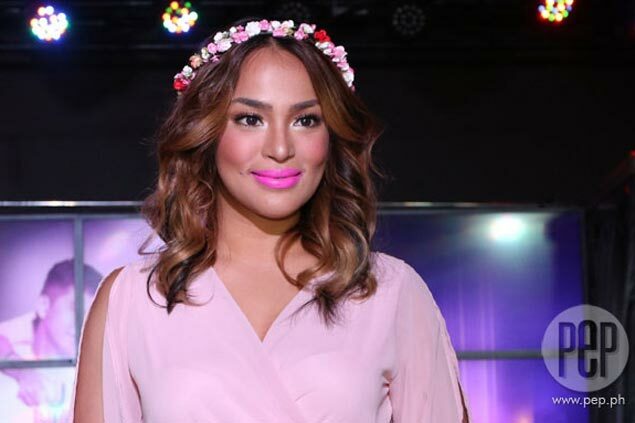 Aside from being a Sports5 broadcaster and PBA courtside reporter for TV5, Padilla is also part of the GMA7 show 'Juan Happy Love Story' where she is paired with Dominic Roco. She shared her boyfriend was at first uncomfortable, especially with her kissing scenes, but has since understood it as part of her job. Padilla added that she’s also focused currently on becoming a certified yoga instructor and she’s not interested to make a comeback on the cover of FHM Philippines after fronting the mag in 2014. Read the entire interview on PEP.ph.